EagleVail’s Mikaela Shiffrin on Friday tied the American record for the most wins in a single World Cup season, matching her own mark of 12 from a year ago, and she also tied Slovakia’s Petra Vlhova for the win in a giant slalom in Maribor, Slovenia. Shiffrin, 23, also tied retired Swiss legend Vreni Schneider for third on the all-time women’s victory list with 55. 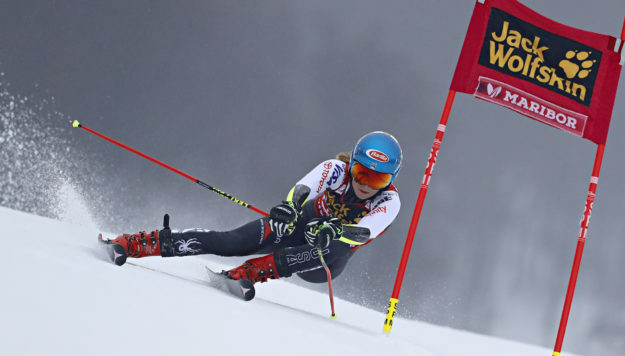 Shiffrin can move ahead of Schneider into third all by herself with a win in Saturday’s slalom. Shiffrin is now just three wins away from breaking Schneider’s all-time single-season victory record (man or woman) of 14 wins during the 1988-89 season. That’s the season when Vail hosted its first of three World Alpine Ski Championships, and Schneider cleaned up, winning gold in giant slalom and silver in slalom and combined. Shiffrin also has a slew of championship medals, including slalom at Beaver Creek in 2015, and she hopes to add to that total at the Worlds in Are, Sweden, next week. “All the time we are really close and today we can share first place…I’m happy,” a smiling Vlhova said.